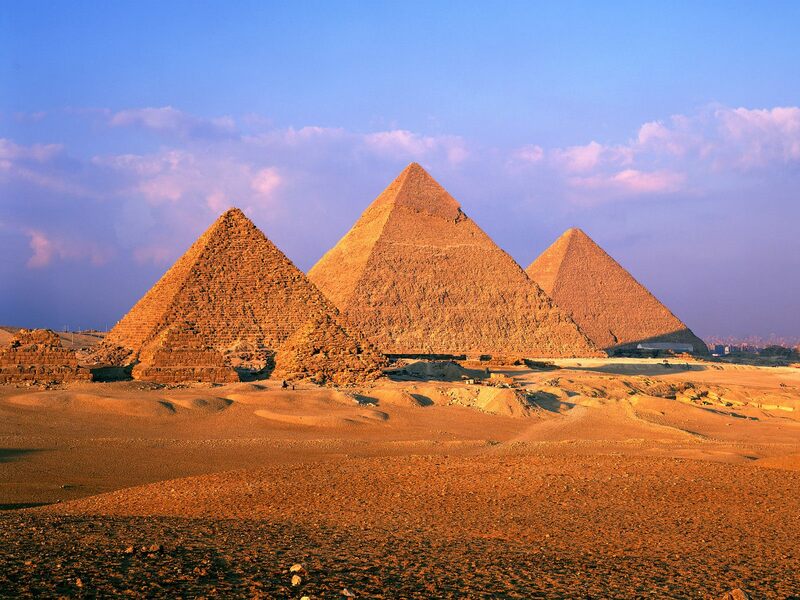 Throughout the early years of ancient Egypt, the bodies of the pharaohs were placed in "pyramids". Pyramids were enormous stone structures constructed on the brink of the desert, near the great flood level of the Nile. The pyramids served as both royal tombs and religious temples, where the soul, or “Ka”, of the dead pharaoh could be worshiped. The pyramids consisted of huge blocks made of limestone and granite. These blocks were extracted in the desert nearby; typically, each block averaged around two tons each. After the blocks were made, they were carried on boats and were sent down the Nile and, with the help of ropes, were pulled on a ramp made of granite from the river to the appropriate level. Other extraordinary pyramids created in ancient civilizations include the Chinese tomb pyramids, the Mesoamerican pyramids, the roman ceremonial pyramids, and the South American pyramids.